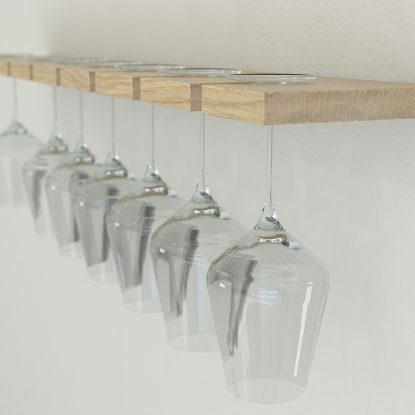 Our bar ware range offers a selection of simple, creative and modern ways to display and store bottles and glasses on the wall. We make our wine bottle racks and wine glass racks in a range of different capacities so suit the space and storage needs of the customer perfectly. 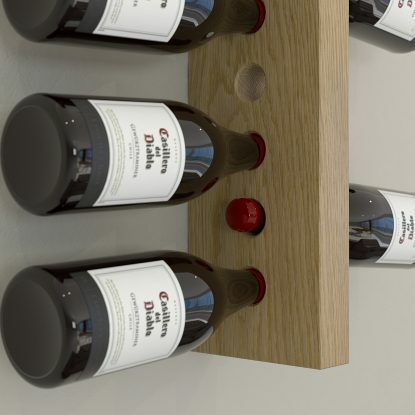 Use our wine bottle rack for displaying your favourite vintage on the wall in your dining room or our wine glass racks to clean up some much needed cupboard space and display them on your wall.